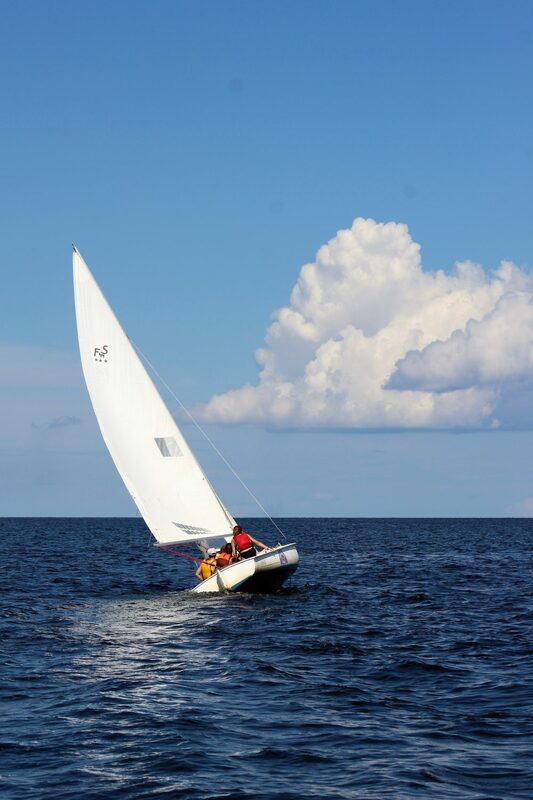 This three week high adventure camp will chal­lenge experienced sailors with an exciting trip across the Pamlico Sound to Portsmouth Island. The session will begin with a week of sailing drills, trip preparation and other traditional Don Lee activities. The program also includes a trip to sister camp, Camp Rockfish, for high ropes adventure, and the opportunity to earn American Red Cross First Aid and CPR certification. Then, led by experienced staff hired exclusively for this camp, the youth will take two days sailing to Portsmouth Island, spend the night and explore the island, then return to camp. This camp is by application. Deadline was October 26, 2018. To apply, applicants must have completed 9th grade and up. Prior sailing experience is required. The trip will be contingent on safe weather and no refunds can be made if the trip cannot be completed.